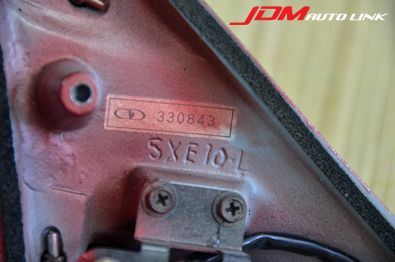 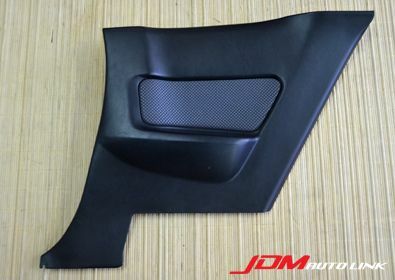 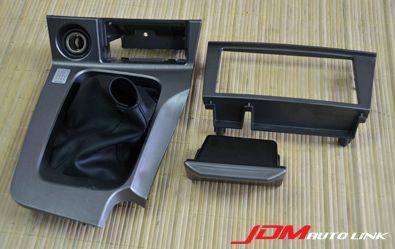 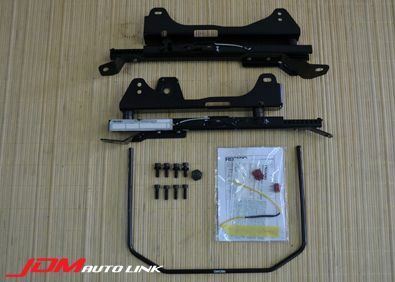 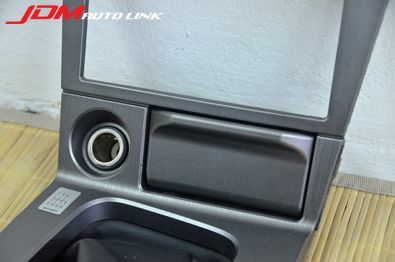 Pre-owned Shifter Surround Panel off the Nissan Skyline R34 GT-R V-Spec II (BNR34). 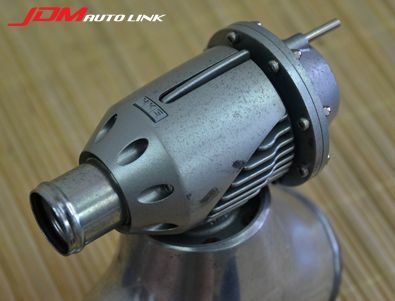 These are finished in a darker shade of brushed aluminum look and would be perfect to brighten up the interior of a R34 GTT. 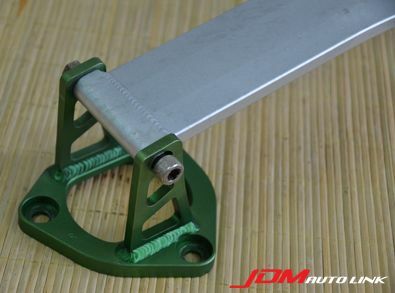 This will come complete with the shifter boot as well. 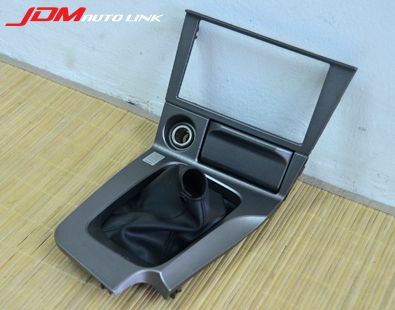 AV Panel and Ashtray will come together as a set. 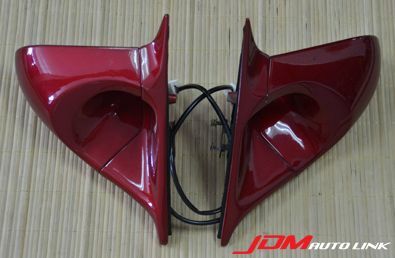 Those looks to be painted to match. 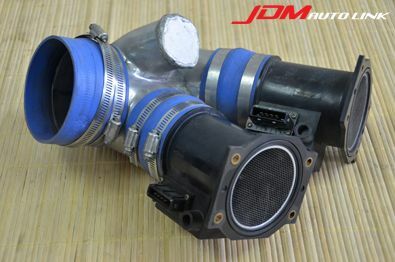 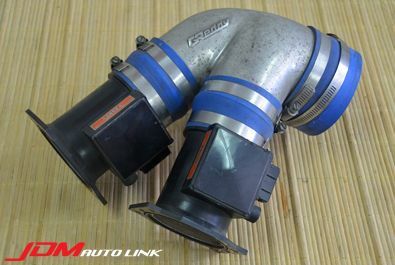 Pre-owned GReddy Piping with twin Nissan Fairlady 300ZX (Z32) Air Flow Meter. 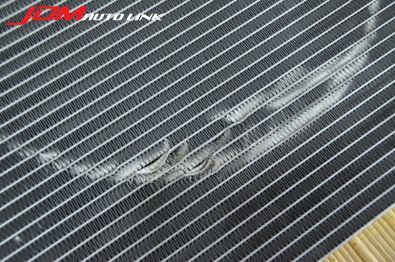 The wire mesh are in good condition. 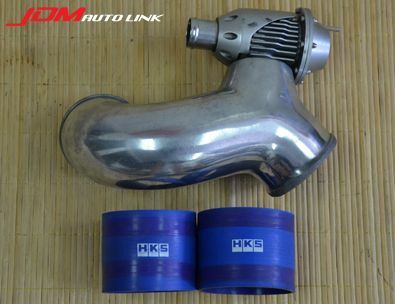 This is a great upgrade for the RB26DETT engine. 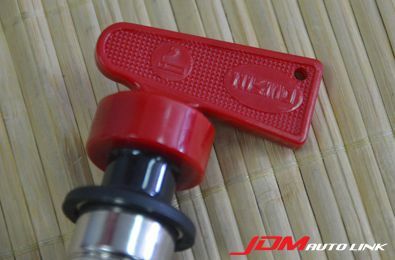 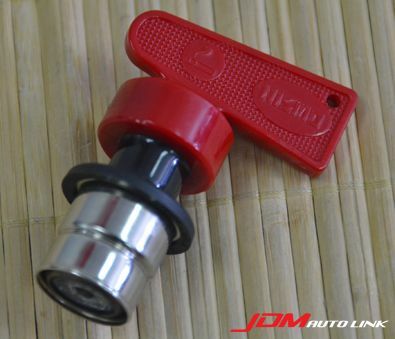 Very rare NISMO Racing Fashion Lighter (Red). 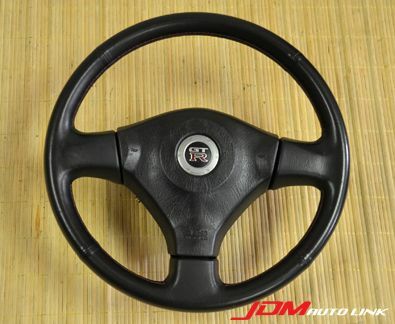 These have been discontinued for a long time and are only produced in limited quantities. 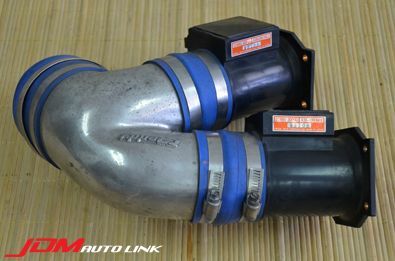 These will fit all Silvias and Skylines. 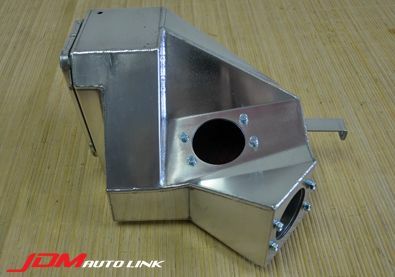 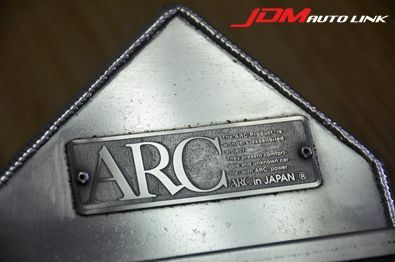 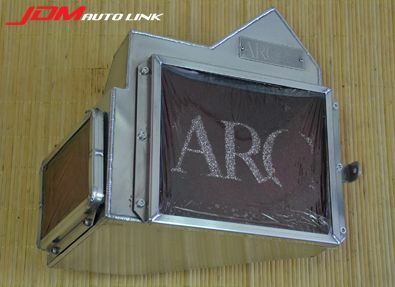 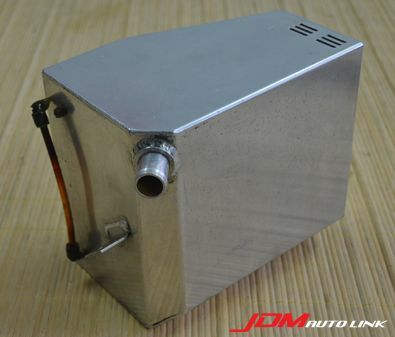 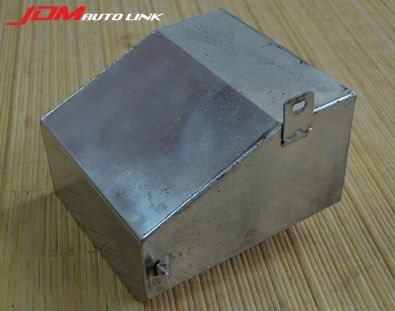 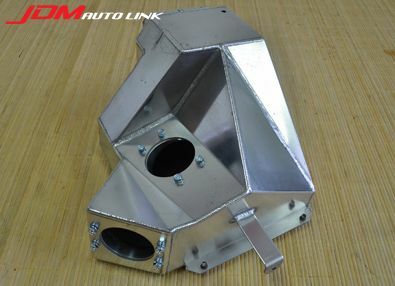 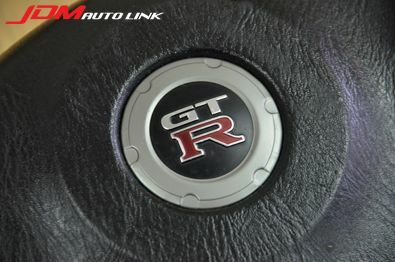 Pre-owned ARC Super Induction Box for the Nissan Skyline R32 GT-R (BNR32). 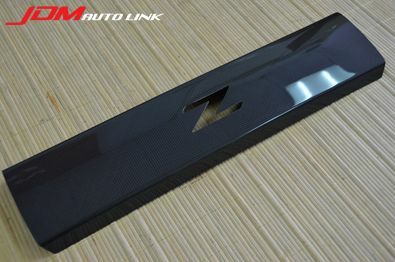 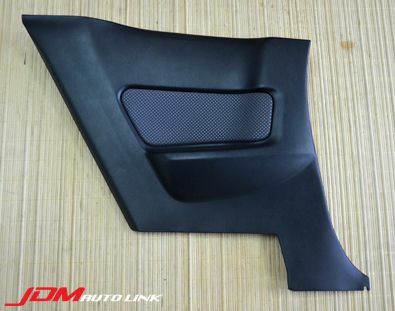 Set of door panels / door cards off a Nissan Skyline R34 GT-R (BNR34). 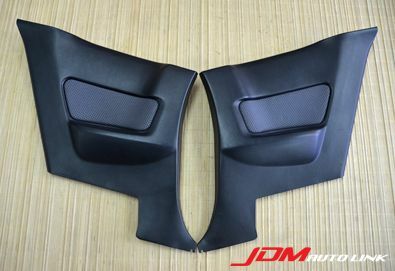 The set comprises the rear panels. 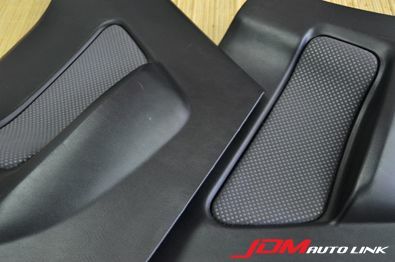 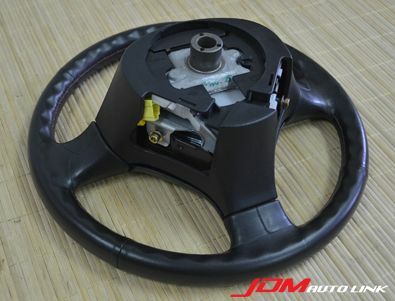 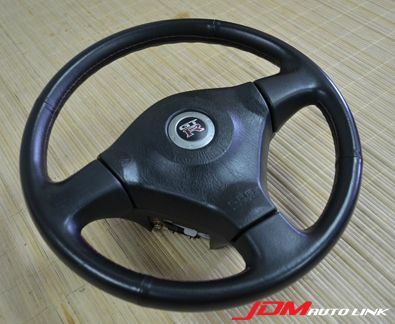 These will make a great addition if you are already running BNR34 seats in your GTT. 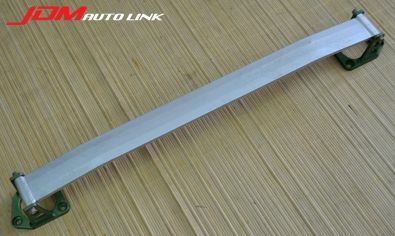 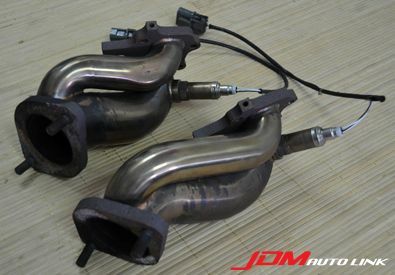 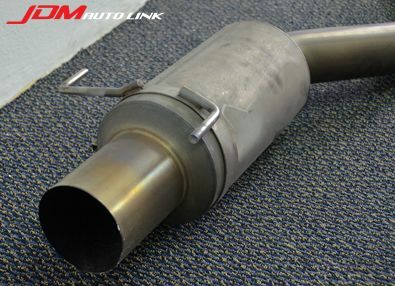 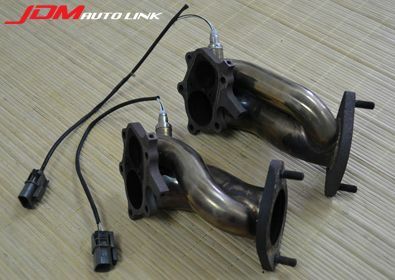 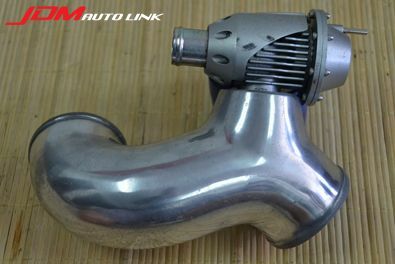 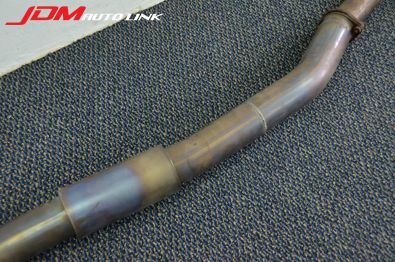 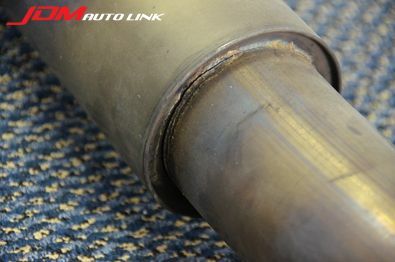 Set of pre-owned Amuse R1 TITAN Straight Thru Exhaust System for the Nissan Skyline R34 GT-R (BNR34). 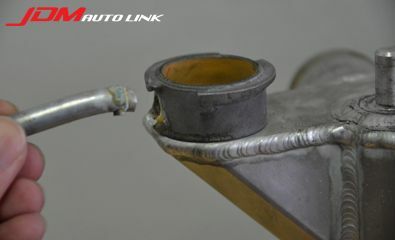 Note that the middle joint has broken off and as such will need a quick reweld. 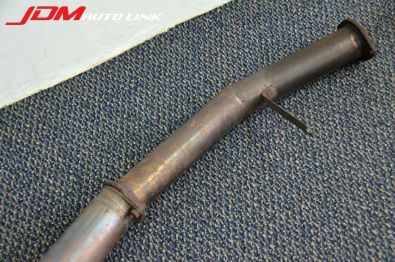 The exhaust will be split into two parts for shipping (at the middle joint). 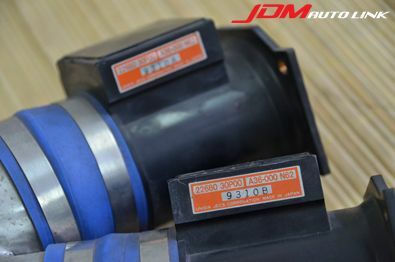 Should you be interested, contact us at sales@jdmautolink.netfor pricing and delivery to your location. 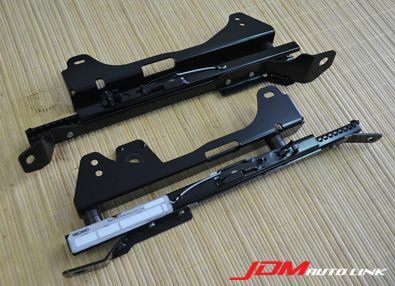 Set of Ganador Super Mirrors for the SXE10 Toyota Altezza. 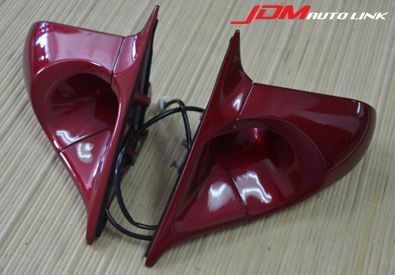 These mirrors are replacements for standard mirrors in lighter weight and in more aerodynamic design. 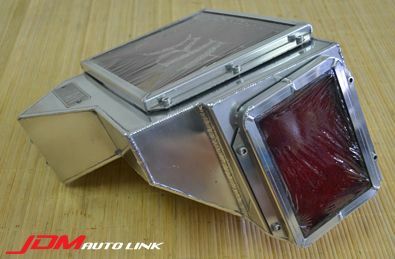 They also looks great! 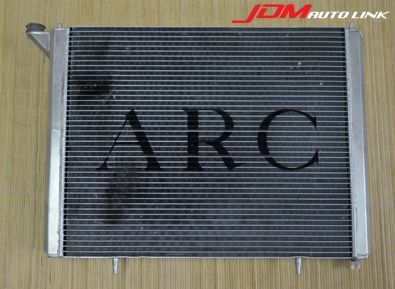 Pre-owned ARC SMC55 Radiator for the Nissan Skyline R34 GT-R (BNR34). 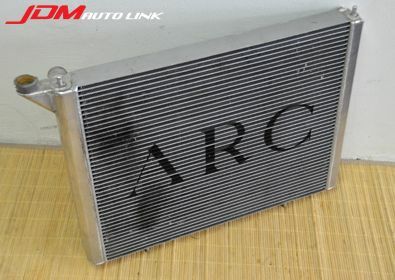 This radiator features super micro tubes, which is manufactured with the latest technology at an efficiency rate increase of 27.5% compared to any conventional radiator. 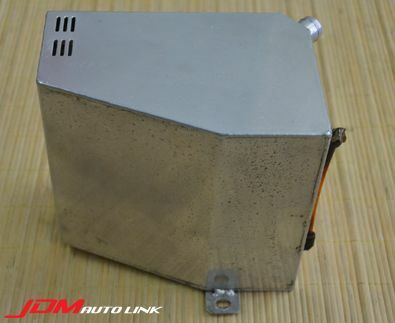 This radiator goes for JPY 170,000 / USD 1,700 when new. 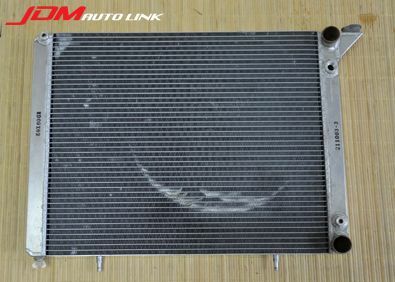 This unit is in good condition bar the fin damage at the rear caused by the fan and the outlet hose needs a quick reweld. 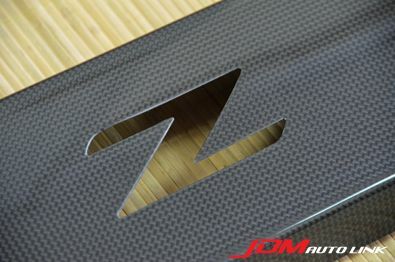 Email us at sales@jdmautolink.net for pricing and delivery to your location. 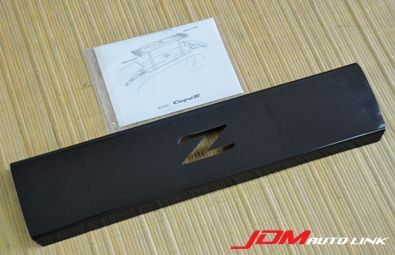 Brand new Central20 Dry Carbon Rear Strut Bar Cover for the Nissan 350Z Fairlady (Z33). 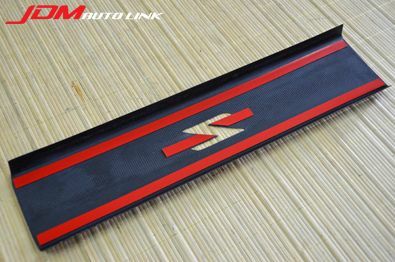 This covers the factory rear strut bar for a more aesthetic look.